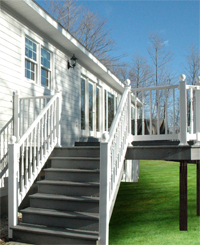 Shaum Construction is a small Upper Michigan Construction that specializes in custom home construction and remodeling. The company was started by my father in law James Shaum in 1964. I took over operations in 1990 when James retired. 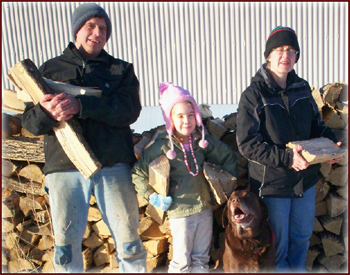 While many Eastern Upper Peninsula Builders offer similar services to ours few have over 4 decades of experience building in the beautiful but harsh environment of Michigan’s Upper Peninsula. Through our extensive experience we have gleaned the knowledge required to complete comfortable, lasting homes beneath the massive snow loads and sub zero temperatures of our winter wonderland. should be healthy for your family and our world. We are continuously seeking out recycled, renewable and energy efficient materials. We believe that quality, knowledge, reliability and hard work are of no value without honesty and integrity. We will treat our customers as we want to be treated. We hand pick our employees and our subcontractors not only for their skills but also for their honesty and integrity. These qualities are possibly the most important. We value each customer and employee and strive to build quality relationships as we build quality buildings. We perform most of our work in house with our employees, as opposed to subcontracting the work to outside firms. We believe this structure enables us to have more complete control of quality and integration of our product as well as providing quality, steady employment for our staff. Another benefit of this unique business structure is that each project is truly custom, tailored to the vision and desires of each customer. I work side by side with my employees on a daily basis, making a short chain of command from the customers request the performance at the job site. I believe that true value is created by efficiency and hard work. True value will be evident long after the project is complete. "Thanks you so much for the quality and completion of your work. "—Paul M.
"We look forward to working with you and your team in the future. "—Bob B.